Do you have plenty of memories of dating? Then dating tag questions are just what you need. Sometimes, it becomes really important to cherish those old memories and what can be more perfect than knowing those questions that would help you in every way possible. Well! To make things more comfortable, a number of dating questions have been compiled here. All of these dating tag questions are quite interesting and entertaining. These bunch of questions is enough to give you goosebumps. High probability is that you might end up sharing something that you never did with anyone. What was the time when you went dating for the first time? What did you buy for your date? 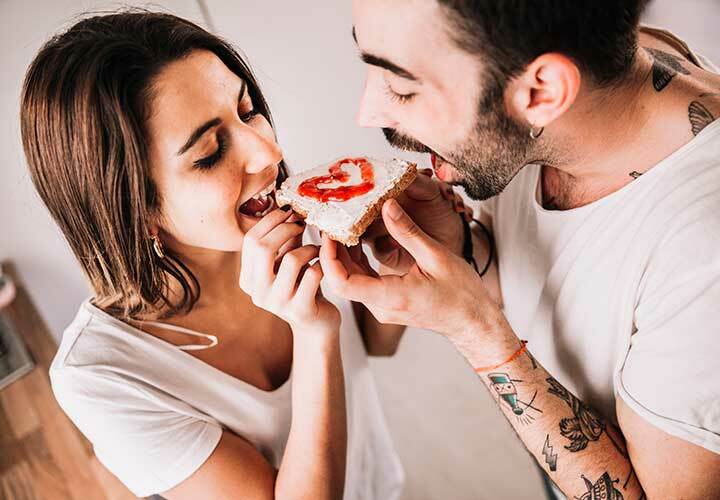 What’s your favorite cuisine to try on dating? What was your age when you first had a crush? Have you ever dated your seniors in college? How do you generally feel on the eve of your dating? What should be the perfect definition of a date night? Do you buy expensive gifts on date night? What kind of perfume do you wear on your date? Lunchtime or brunch time – what do you prefer the most? Have you ever experienced anything weird on your dating? Can you remember the name of the person whom you dated when you were at senior school? Do you follow any dress code for your date night? What are the parameters you try to follow while choosing your dating partner? What do you usually order while you date at night? Do you try to show something that you actually are not? Is there any celeb whom you want to date? What is more important to you, talking or listening? Have you ever behaved weirdly on your date night with anyone? Highest how many times have you dated the same person? Have you ever felt bored with anyone? How important is a person’s outlook to you? Do you ever check the annual income of the person whom you are going to date? Do you like it when someone dominates you or just the opposite? Have you ever faced verbal rejection on your first date? What was your worst facial expression ever after finding your date weird and crazy? Who gave you the best time from your first date onward? How much do you enjoy when someone gives you a lot of importance? Have you ever fallen in love with your bestie? What would you call your sexual orientation? Have you ever done anything adventurous on a casual date? What is the most important thing to consider while dating someone? What is the best compliment have you ever got throughout your dating life? Who is the most handsome guy you have ever dated? What is your opinion about casual dating? Have you ever met anyone whom you thought would be your life-partner, but left you? How many times have you felt cheated in a relationship? How do you treat your hair for a date night? What is the most shocking thing for you in a relationship? How long do you take to trust your date? Are you comfortable in giving your number on the very first date? In which way, do you want to celebrate your second date? Have you ever had an argument with your date on the very first date? Have you ever come across any royal person? Can you share any weird experience that compelled you to leave the date early? Have you ever felt sad on your date? Have you ever felt shocked on your date night? What is your best moment to date? Physical appearance or intelligence – what’s more important to you? Have you ever exchanged books on your first date? Is there any particular apparel or attire that you try to wear on your date night? Is it important to look and stay fit to date? Which dating app do you find absolutely mind-blowing? Have you ever met any fake person? Have you ever double date? Often people believe that eating from the same pot feel romantic. Have you ever tried something like this? Have you ever taken any strong decision on your date night? Ever have encountered with a foodie person who dated you just for the free food? Has anyone ever asked for your financial assistance on your date night? What is the saddest incident ever happen to you? Has anyone ever tried to play with your patience and mindset? What is the most awesome philosophical question you have ever been asked on your first date? What is the most hilarious preaching line you have ever been asked on your date night? Has anyone asked you about your ex-relationships on your first date? Have you ever spoken to any of your partners in an inebriated state? What actually caused the earlier breakups? What do you think about that? Have you ever accidentally spoken about your ex while on a date? What is the most shocking remark has anyone ever passed about you? What is the tenure of your last relationship? How serious are you about commitment in relationships? Top 5 things that one should keep in mind while dating online. Have you ever found anything bizarre about dating apps? Do you feel anxious or bad when someone asks you about your past relationships? What are the most exquisite things about the first relationship? Is there anything that people shouldn’t do on their date nights? Can you name one person who gave you a ton of respect and love on the very first date itself? Have you found your dream partner? Has anyone ever proposed to you on the very first day? Has anyone ever done anything mischievous to you? What is the most disturbing event you have ever come across? How important is it to look and feel good on your date night? Do you pay bills or let others pay for you? How different is a serious date? What type of people you never want to date? Is there anything that you just want to stop others from doing? Which type of hairstyle is perfect for the first date? Do you hate it when your date does not reach timely? Are you strict with those whom you date? Will you ever want to change yourself if someone says you so? Three reasons that people should remember while dating you. Can you share three reasons that why people should date you? Can you remember what you wore on your first date? Do you judge your date just by physical appearance? Have you ever dumped anyone without any reason? Have you felt love at first sight ever? All of these dating tag questions are perfect to ask anyone. These are a beautiful blend of humor, fun, entertainment, serious, anxious, and many more stunning emotions. This is the right time to share your beautiful memories with everyone. If you feel uncomfortable to answer a particular question, you can easily skip that part. The questions are not meant to hurt; so have fun while answering. Wow, what a lovely idea to know more such romantic questions! Your wish is our command. And, here you go. Girlfriend Tag Questions: Want to impress your girlfriend? Then, check these questions out. She would love all. 200+ First Date Questions: Have an amazing first date with these smart and cute questions. Enjoy the best moments of your life. Second Date Ideas: So, the first date was successful? Fill your life with some crazy and interesting second date ideas. Surprise your partner in the most amusing way. Questions to Ask Your Crush: Our crush is the most enchanting chapter in our life and we literally do not let a stone unturn to impress the special person. These bunch of questions would definitely help you to woo the person.